This photo of an opposition banner hung on a dormitory at the University of Aleppo shows the growing reach of the opposition in Aleppo. Another sign of the growing capability of the opposition is its ability to set off car bombs with growing regularity near intelligence offices and in Syria’s major cities, such as this one: Car bomb hits Syrian city of Deir al-Zour, killing 9 instantly and wounding 100. An intelligence headquarters was the target. But the assassination of Syria’s six top security officials and Baathists seems beyond the capabilities of the opposition just yet. According to the Guardian, Heavy clashes were reported in Damascus overnight and in a video message (Arabic), the Free Syrian Army claimed to have killed six key figures in the Assad regime. But it is safer to doubt these claims until they are proven true. The opposition has no coordinated information outlet and many competing news sources, so exaggeration and disinformation seems to be the order of the day. For example, the opposition continues to insist that every car bomb and explosion at an intelligence headquarter is set off by the Syrian military itself in order to blacken the reputation of the pacifist opposition. This does not make sense for many reasons. 1. Why would the mukhabarat kill itself? No mater how evil one presumes Syria’s intelligence agents are, it remains unlikely that they would kill themselves in such great numbers. This is a bit like believing that the CIA is so evil that it killed the people in the World Trade Center to give President Bush the pretext to invade the Middle East and kill Muslims.The willingness of Western news agencies to repeat these opposition claims demonstrates that Westerners are just as prone to conspiracy theories as are Arabs. All it takes to believe in conspiracy theories is to demonize your enemies to the point that you can believe they will carry out any operation in order to advance their devilish aims. 2. It makes sense for the opposition to set off car bombs in down town areas. Classic stage-two insurgency tactics call for terrorist acts in public places to make the regime look weak and to provoke it to lash out in rage, killing innocent people and provoking more and more neutrals to hate the regime and side with the insurgency. Targeting intelligence headquarters is smart as it accomplishes all of these opposition goals. Your conclusions are all wrong. The connections make complete sense to the outside observer, however, to the internal Syrian, even those pro-Regime (within their heart of hearts) – the truth is evident. –1. Why would the mukhabarat kill itself? They’re not. All the important Allawites on-site left well before the attacks. Show me the list of martyrs and show me who’s who. Do they contain high ranking Allawite officers? There have been no funerals in the Allawite neighborhoods in Damascus for any Allawite Intelligence officers. No CCTV footage was captured, nothing – cameras were dismantled the week before (they learned this after the first bombing almost blew their cover — and to some extent did). –2. It makes sense for the opposition to set off car bombs in down town areas. No, it doesn’t. It provides fodder for bloggers like you and Syrian TV commentators to point fingers at the opposition, insinuating that the opposition is entirely or significantly radical, which justifies and warrants regime response. There’s no benefit here to the opposition — we don’t want to be in the position of having to explain to the world stage that this is a regime tactic as opposed to Al-Qaeda elements potentially fighting alongside us. Killing a few intelligence officers, even if we wish death upon them, won’t win the war here. This regime has a repertoire of Intelligence buildings — the ones attacked are nothing and sacrificing a few for their cause is worth it in their view. We all know that the regime is not dumb (in certain respects) – they have smart people concocting PsyOps measures to subdue the population and other strategies to ward off western military intervention. They are effective. They got the American administration to say Al-Qaeda has a presence in Syria. They fooled certain elements in the Obama administration. You can’t get any better than this result as a regime plotter. You got the only nation capable of removing you from power to state that the enemy they have been fighting since Sept 11, 2001 is involved in Syria’s unrest. You can’t sell the idea of intervention to the American people at this point. My own personal assessment was that I was initially unsure of the first couple of car bomb attacks — was this indeed a “third force” that was intervening in the Syrian conflict? However, there was no doubt who dunnit when I saw the aftermath of the most recent car bomb attacks (or bus bomb?). The crater is larger than anything ever seen in Iraq. My personal assessment, based on my Engineering training, is that it would require a significant force — the types of explosives not available in the Terrorists’ kitchen which requires a Government’s complicity. Some pro-Regimites may implicate Gulf nations, however, they would have no interest in undermining our cause. The first car bomb had a deleterious effect on the Opposition and subsequent bombs were progressively worse on us. Furthermore, the true military wing of the Opposition – the Free Army, has consistently denounced each bombing. The political wing of the Opposition has done the same. Which branch of the Opposition are you implicating here? If it is a third force, then it’s not part of the genuine opposition movement in Syria – it is out of our hands and we wish for them to stop. But it’s not — all these bombs seem to have found their mark. Bonafide suicide terrorists detonate early more than half the time, but we haven’t seen any of this (I hope I’m not giving the regime ideas here, I’d rather not). These attacks are carried out with quite some precision. The Syrian Kurdish dissident argued that a federal Syria, separated into four or five regions on an ethnic basis, would also serve as a natural “buffer” for Israel against both Sunni and Shi’ite Islamist forces…. Those Barry Rubin and Jonathan Spyer articles are highly misleading. Sherko Abbas is very marginal as far as Syrian Kurdish politics go, and to the best of my knowledge he was not even a part of the Kurdish National Council delegation to Washington – he just lives there. This is also not a new opinion of his, he’s been wanting to split Syria into mini-states for a long time, so it has nothing to do with recent events or with Obama’s policy towards the opposition. 6- الشعب الكردي في سوريا جزء من الشعب السوري وهو يشكل قومية أساسية أصيلة في البلاد،وحركته الوطنية هي جزء من الحركة الوطنية الديمقراطية العامة وحراكه من الثورة السورية. Long story short, Rubin seems to be trying to actively mislead his readers by equating a Kurdish version of Farid al-Ghadry with the mainstream Syrian Kurdish opposition. Or maybe he’s the one who’s been misled. Either way it’s bad analysis. If this report is true, good riddance to these war criminals who have been killing innocent Syrians! Defense Minister Rajha is a murderous war criminal. Good Riddance to him, if this story is true! Hizballah has perfectly planned the murder of a Sunni Sheikh in Akkar (Lebanon) through their agent-soldiers in the army. I think things cannot be more clear. HA will try its best to create chaos in north Lebanon. I hope, with the additional help of Geagea, north Lebanon people can get rid of HA criminals and pro-syrians of the north. This time there will be no Assad Army to shell them. Allah Yarham Sheik Abd al-Wahid, and punish those who are really behind his murder! Maybe 1 or 2 on the list were killed, and possibly 2 or 3 more maybe undergoing treatment, but my question is, how many people will have to die under severe torture in the Prisons because of this attack, especially the failed attack on al-Shaar. I do not think anything major will change if 2 or 3 of the inner circle are bumped off. If Assef Shawkat is liquidated though, that may pose a problem for the regime. But absolutely NO USE in assassinating even a dozen Ministers, MPs and retired Generals. It does not need to be told that people like Hassan Turkmani, Tlass, Hesham Bakhtyar, Bakhetian, even Rajiha – are of not much crucial importance to the regime. They are not critical in the repressive apparatus of the regime. However, this partially-successful attempt WILL lead to mass murders inside State Prisons. If MB had managed to kill Hafez that may have turned the course of events, but look at what its failure achieved – 5,000 killed in Tadmor Prison. Assassinations and attempted assassinations are nothing new in Middle East history and politics, they happened half a dozen times but never succeeded in changing a regime decisevely. Even when whoever-they-were bumped off Anwar Sadat, it was Mubarak for another 30 years. Even Mubarak faced at least 5 to 10 attemots in the 1990s, they did not change anything, not the nature of his regime, not the character of his person. At least 30 odd attempts were made on Saddam, they not only failed to change anything, they even failed to scare him or make him more humble and modest. They need face trial in Damascus, under custody of Syrian authorities, in full televised view of Syrian and world public, their crimes be read one by one, and witnesses called to the box before them. Thei crimes read one by one. It will be interesting process, their trials. There should be trials of at least 5000 people involved in the regime’s crimes. But unsuccessful or partially successful operations will not achieve anything. Unfortunately,Tartous Comment Syria Comment is still at it, trying to discredit the grassroots opposition. What benefit will the “opposition” get by “killing 9 people instantly” , especially when the source does not elaborate on who those 9 people were and who this “opposition” is. Man, this is even beats than the Syrian regime, even they did not directly accuse the grassroots opposition. “This does not make sense for many reasons. They, or whoever planting these bombs, did not or does not, intend to kill Mukhabarat. How many people with good knowldege about this issue crying hoarse for so long about this point ? 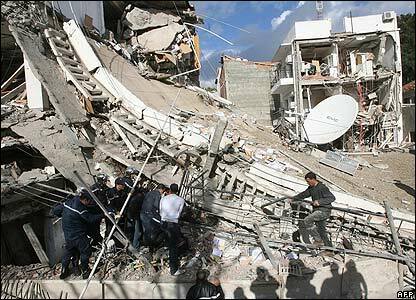 The bombings were designed to cause minimum possible damage to Mukhabarat buildings, and egenrally don;t care how many civilians died. It is much easier for the “opposition” to kill Mukhabarat on the streets than inside their own buildings. Whoever planned the killing of the Sunni Sheikh in Akkar, actually wants to incite sectarian conflict between Sunnis and Christians, especially between Sunnis and Maronites. Because lately the Lebanse Sunnis are are starting to criticise the Lebanse Army, and may even start firing at them ; and everyone knows that Lebanse Maronites traditionally have very strong emotional attachments to the Lebanese Army. Additionally, is this just a rumour or fact, that most Lebanese Army soldiers deployed in North Lebanon are recruited from Akkar Sunnis ? If so, why do they fail to take sides with the anti-Assad camp ? Some Akkari leaders today declared that they will order Sunni soldiers in the Leb Army to “defect” and to start “Free Lebanese Army”. This will not be taken kindly by even the anti-Assad Maronites, who will see this as high treason and a sign of extra-territorial loyalties. Though I must say the Lebanese Army units whoch have been sent to Tripoli are mostly Special Forces, which are dominated by people from the Jnoub. Yes, they should defect in order to defend their dignity, lives, and honor from Hizbistan. Do you remember when Nasrillat ordered his shabiha to occupy Western Beirut? As to Samir Geagea, he is the most notorious war criminal of the Lebanese Civil War. His collaboration with Israel is can’t be forgiven! Guess contradictions are part of life. People of Syria and Lebanon should unite against Hizbullassadstan. Lebanese Forces and most christians prefer 1000 times Hariri to Nasrallah. Regarding Geagea I do not believe a man that has passed 8 years under Assad prison is more criminal than Berri, Nasrallah, Hobeika, Jounblatt, Aoun etc. At the end lebanese will need him for a national construction when Iran ends his control of Lebanon. Future and Lebanese Forces must work together to reinforce 14 March support in this critical situation. Without meaning to belittle the numbers of alleged Mukhabarat killed this is still a relatively tiny number if you consider the total number of Mukhabarat (tens-of-thousands or hundreds-of-thousands ?). This regime is capable of sacrificing some of its own in order to manufacture a desired outcome and achieve its objectives. Maronites have nothing to do with this affair but can help too much to find the right answer. I guess you think Geagea is a loooooooser because he was the only one who did not accept the Syrian HA rule and for this reason ate 8 years in prison… Hariri is a looooooser too? Since when Syrian Sunni Sheikhs are dispensed of stopping at Lebanese border checkpoint and in the contrary allowed to force their way through the border by accelerating? Anything to hide? Unless Hezbollah was remotely controlling the gas pedal of the car. Yes of course, Hariri is not only a loser but also a coward, otherwise he would return to Lebanon instead of hiding in his Saudi or French palace. How do they pick who is going to be killed, Ini mani, mo? It is amazing how avoiding to face failure triggers the wildest fantasies. If and when the endgame arrives, Russia better not intervene on Assad’s behalf. Russia should keep it’s troops in Tartous in their barracks. I wouldn’t think a regime desperately concerned with it’s survival can afford to entertain such considerations. I don’t know who is behind these attacks but have my suspicions. I highly doubt the regime orchestrated the bombings, however I truly believe they have a direct hand in letting it happen. If we look at the bombings in Damascus all but the most recent one happened in the heart of Damascus, those suicide bombers would have to not only cross numerous check points to get to the heart (assuming the car is assembled and rigged in the suburbs) but would need to approach the targeted security buildings undetected. The likelihood of that happening without getting caught along the way is highly unlikely, and would need more than just Al Qaeda level of sophistication and territory knowhow to get there. Another example is the Idlib City bombing, Idlib is a town that the regime can easily control its choke points and control the traffic coming in and out of. Since the bombing happened after the SF regained control of the town and essentially “cleared” it of rebel forces, and after as we have witnessed by the AJE satellite images established choke points and diverted all traffic to just one entrance, one must ask is the SF that terrible at manning checkpoints or is there some sort of turning a blind eye in order to enhance their rhetoric? Furthermore one would have to ask the most obvious question is to what purpose has the border with Iraq been operating business as usual while the borders with Jordan, Lebanon, and Turkey have seen an increase in deployment as well as the planting of new mine fields? Also videos such as the one below that is inconclusive yet raises flags of doubt in the regimes version of events, supposedly shows members of the SF planting an IED in Douma yesterday close to a check point, can this perhaps shed more light on the attacks that the UN monitor vehicles have endured as of late? Who is Sheikh Nazim and what are his credentials ? Sorry, but Syrians want a truly representative democracy, not an autocratic Monarchy like Jordan has. And Syrians will not start trusting Hashemites as long as they don’t treat their Palestinian population decently ( like Syrians do). Moreover, Syrians will not trust “Abdullah II, the son of King Hussein of Jordan, and to all the Hashemite family.” , as long as he doesn’t treat Syrian refugees better, as long as he doesn’t allow FSA to set up camp and launch attacks from his territory, and as long as he is sh*t scared of Assad. However moderate and Sufi-oriented Syrian Sunni sheikhs rooting for Hashemite is not surprising, since Hashemite were always viewed as bulwark against Wahhabism as well as alternate source of Islamic legitimacy. Geagea and his ilk still advocate the mass murder of Lebanon’s Palestinian population. That is unacceptable. And you know well that he was given VIP treatment in Prison. How can Gegea help at all ? He can’t mobilize even 1000 fighters, most of them are not well-trained and are out-of-practice ; besides he can’t deploy them outside of his Bcharri. The people of Akkar, Tripoli , and Dinniyeh-Minniyeh must declare a general boycott and civil disobedience against the Lebanese State and its institutions, until the Lebanese State assumes a neutral role in the Conflict. they must also preserve the right to shoot at the Army if the Army tries to enforce the will of the Beirut-Damascus Government. The Lebanese Army is very ineffective and does not have the will to get into fighting in the North, they will run away at the first sign of armed resistance. Anyway they will not attack the North if challenged, because that will mean all the Sunnis in Bekaa, Beirut, and Saida, will also rise up and declare war. It is a recipe for disaster. Saad Hariri is also ineffective though, grassroots leaders like Khaled Daher and other strongmen should call the shots. the FSA units based in North Lebanon can give them real qualitative assistance. the jist of the argument is : get out of the North until you intend to assume a neutral position. The palestinian cause is another issue full of hipocresy. Are acceptable for you the killings palestinians committed in Lebanon under syrian protection? Civil war was ended by a national agrement and amnesty. Palestinians were also included in the agreement although they are not lebanese but killed lebanese people in Lebanon. Nobody asked them to go to Lebanon to kill lebanese men, women and children who did not agree with the palestinian cause. Do not commit the same eternal mistake. The fact that Palestinians are victims of Israel does not avoid that palestinians can commit crimes and be high level criminals too. At the same time the fact that apparently Assad defended palestinian cause does not avoid Assad being a pathologic and dirty criminal. We do not need to bring back past tragedies. We need fredom and democracy in Syria and Lebanon. That´s all. Fighting started in Beirut . Palestinians did not commit crimes in Lebanon under “Syrian protection” , they did it under “Iraqi protection” under Saddam. Anyway, the killings they committed in Lebanon are not even 1/10 that various Israeli, Lebanese, Syrian, Iraqi, Jordanian groups committed against them and continue to do. They are condemned to destitution in Lebanon, have been mass-murdered in Iraq by the Maliki Government, condemned to second-class citizenship in Jordan. I am not even talking of their situation in West Bank and Gaza. Only Syrians did not commit atrocities on them. Ordinary Syrians never attacked them, unlike ordinary Iraqis or Lebanese or Jordanians. Mind you, the Assad regime generally despises Palestinians, because they are Sunni, but ordinary Syrians share very close cultural and historical links with them. Until the 1930s, there was no clear division and difference between Syria and Palestine. Fighting already stoped in Beirut more than one hour ago. HA security members shoted at the multitudes and dissolved the demostrations… it reminds me of something happening at the other side of the border. For real this piece of fabricated news made it to SC this fast, even CNN would have verified before broadcasting it. AL/AJ probably they are the source for such joke. it is clear that the media psych war on Syria is NOT WORKING! Hello tell this news to Syrians inside Syria they would be laughing. it is a joke wait pathetic what is being fabricated and published the only one thing I would say that a teenager in Syria would understand the politic of Syria much better than many of this reporters who are writing about Syria. I did ponder whilst posting the previous comment. Although the Sheikhs statements could be deemed irrelevant or unrealistic at the moment, I thought they were worth sharing (putting on record). Depending on how the situation develops, people would have a reference point to revisit. Also, pre-Nakba Palestinian society was very similar to Syrian society – its class composition and social groups, its economic character, were similar. I do not think victims of palestinians milicias care to much about what happened to be in the pre-Nakba period. As palestinian victims (all) do not care about how life was for jewish in pre-Hitler Berlin or as people from Homs and Hama dont bother about how was life for the alawites in the mountains in the Othoman Period. We are loooking at the future. It is complicated enough so no time left to look at romantic and unrealistic views of a past that is gone. If Palestinian militias indeed killed so many people in Lebanon, why then Palestinians sustained highest casualties in the whole Civil war ? What is SNP assessment of recent sudden escalation of the situation in Lebanon ? Why do you think there is sudden escalation and violence, and who is resposnible for planning and execution ? About the Guardian report about the explosions, do SNP think the defectors’ stroies are credible ? What I am doubting is how it can be possible for someone working in the HQ to defect within 3 days of the incident and make their way to Idleb, and how it is possible for Martin Chulov to bump into them. And why did the regime deploy Idlib guys as guards in the HQ, when they could have chosen from a more reliable Province. Amir In Tel Aviv, please avoid labelling and signalling out an entire group of people based on one person. Your sectarian language is disgusting and atrocious. You only demonstrate why Saladin mark-2 is impossible.The Arabs could never, and will never be able to unite. Saudi Arabia and Qatar warned their subjects to leave Lebanon a day or two ago, it makes sense that they were planning to start the anarchy in Lebanon. Thinking anarchy has been planned by Saudi Arabia and Qatar sound so naive when at this time all lebanese know that a shia belonging to the lebanese army killed both sheiks executing orders from Hizballah and Syria. Consider that everyone in Lebanon has been watching and fearing the crisis in Tripoli in the last days. And everybody knows Assad is trying hard to engage Lebanon in the contest. Not warning their citizens to leave would be stupid. Keep the idea clear, 99 % of crimes comitted in Lebanon in the last 22 years come from Assad mafia. I am sorry but that´s the truth and by now you all should know it. The elections in Egypt is not estrange to what is happening now in Lebanon and Syria. Who ever is elected will create anger and violence. The victory of a liberal will enrage the Islamists and they would want to make sure Syria and Lebanon do not follow the same track. The victory of an Islamist will send a wave of panic in Israel and it will make the Sunni Islamists bolder of another victory in Syria and Lebanon. In both cases Syria will be in a turmoil and the USA in disarray on how to protect Israel suddenly surrounded by bellicose enemies. They may opt to prevent Syria from falling into the hands of die-hard anti Israel Islamists. We may see big changes in the region changes after the Egyptian elections. And you have proof to all the crimes that Syria committed in Lebanon , Did Israel by any chance commit any crime. “99 % of crimes comitted in Lebanon in the last 22 years come from Assad mafia. I am sorry but that´s the truth and by now you all should know it”. Don’t be sorry, you should know that paranoia is a curable disease… in some cases. There no excuse for not releasing political prisoners and for refusing to give Syrians the full protection of the law,thinking that the same person can play judge,prosecutor and defense attorney is in defiance of common sense,there will be no political solution to this crisis with the same people staying on top without allowing Syrians to choose who will represent them at the PA and who will be their next president. President Barack Obama told G-8 leaders meeting at Camp David that Syrian President Bashar al-Assad must leave power, and pointed to Yemen as a model of how a political transition could work there, the White House said. It is a war in Syria, you don’t release your enemy until the war ends. i don’t know how long the Syrian army is going to take the beating without going after the leadership of the opposition. Dawoud Address people in their chosen handle and avoid labelling people. Every person is allowed to comment and add their thoughts here as long as they abide by the rules. P.S., Amir inthe Tel Aviv colony admits being anintelligence agent in Israel’s colonial and Occupation Army ICOA! P.S.3, Do you think that Amir’s service in ICOA has included shooting and torturing the colonized Palestinian natives? I think so! has bashar been seen today? Yes, he was seen having a puff at Al Nafura with the resuscitated officers previously killed by Al Jazeera. the opposition continues to insist that every car bomb and explosion at an intelligence headquarter is set off by the Syrian military itself in order to blacken the reputation of the pacifist opposition. 1. Why would the mukhabarat kill itself? how many security people got hurt? The blasts took place shortly before 8 a.m., and the majority of the victims appeared to be civilians on their way to work or school. a bomb going off before 8 am isn’t going to take out security people if one presumes they don’t show up for work until after 9am. it doesn’t serve the opposition’s interest to kill civilians! U.S. President Barack Obama on Thursday issued his first direct call for Syrian President Bashar al-Assad to step down. Any Egyptian Muslim who does not vote for Mohammed Morsi will be bitten by a serpent in his grave for four years. That fatwa, attributed to a Salafi cleric last week, made headlines in the Arabic-language media because of its absurdity. There is no such punishment in Sharia, let alone one exacted for failing to vote a certain way in a presidential campaign. But statements such as this, which are increasing during Egypt’s election season, merit a closer look. They underline two significant facts about Salafism and the Muslim Brotherhood in Egypt: first, the two groups share more in common than either side would like to acknowledge. Second, the rift within the Salafi movement over which candidate to endorse shows that some factions are in many ways closer to the Muslim Brotherhood than to Salafism. It is, of course, not surprising that Salafis endorse either Mr Morsi, the Muslim Brotherhood candidate, or Abdel Moneim Aboul Fotouh, a former member of the Muslim Brotherhood, after they failed to qualify an Islamist candidate of their own. But it is one thing for Salafis to endorse a Brotherhood candidate to ensure the implementation of Sharia, and quite another to campaign for the Muslim Brotherhood as a religious group. The Brotherhood, after all, has historically been the Salafis’ putative enemy. About the Guardian report about the explosions, do SNP think the defectors’ stroies are credible? one thing that article brings up that was interesting. a bomb goes off near syrian intellgience building and there are zero/zilch/nada close circuit surveillance cameras recording footage of the scene that has come out? what intelligence agency doesn’t run surveillance cameras around their buildings 24/7? absence of such footage is a giant red flag that is something is amiss. irritated — a regime so paranoid that it has 17 spy agencies, isn’t going to forget to run cameras. an interesting video that parses out assad regime’s allegations, blaming terror attacks on alqaeda. A brilliant answer! Thanks for putting the effort in. Lebanon as a country is not stable, a rumour, just a hint can set off emotions and warlike scenarios. Syria is just an other good reason to disagree for many Lebanese, at the end its an powerstruggle like many. Either you were scarcastic or you really meant your praise for Harvard and those who come out with an diploma of it. To round up the picture you should tell your lady also that the economic crisis we face since 2006 is part of the achievements Harvard absolvents created in the banking, insurance and political levels. We must be cautious regarding the ‘assasination’ reports. This could be a regime disinformation campaign to distract and cover up the reality. It could be a case of innocent food poisoning as a result of recently switching to Iranian food products (perhaps caviar?). If this is true then the recent Syria-Iran free trade agreement has got off to the worst possible start. Unfortunately henceforth at such high ranking meetings they will keep arrested activists locked up in the store room using them as human shields to test the food at meal times. It is crises for the simpleton, it is get rich quick for the Harvard grad managers “The Conspirators”. Look how many trillions they walked out with their conspiracy. Dear Aron, Thanks for your comments. I have added them to the main post under Barry Rubin\’s articles. I was wondering whether the free trade agreement between Syria and Iran was just a front for Iran to hand over much needed financial support to the regime (a billion or 2 dollars). The Iranian government cannot just hand over money risking the wrath of it’s own people. This way they can keep it secret and if it was ever exposed they could deny and use the free trade agreement as cover. How else is the syrian currency still remaining more stable than expected? MM, I have also added to the main post your comment explaining why you believe that the Syrian government is responsible for the car bombs. Thanks for the thoughtful argument. Well if greed is a merit nowadays, go ahead. I worry alot over such policies and an economy which only knows one way: growth by all means. AJE has put up the recent episode of Inside Syria with Pr. JL a guest alongside Basma Kodmani. The other day I caught part of the show and heard how Syria has struggled to find its identity after Ottoman times. Also how due to the lack of International response the SNC has been forced to move closer to the internal opposition. Odd how the regime seems to be a leader in manufacturing yet the economy is in shambles. Venezuela is becoming problematic with its upcoming fuel shipment helping to ease the regimes difficulties and fueling the military suppression. It’s time the SNC sent a delegation led by Dr Ridwan Ziadeh to explain to Caracas the harm they are doing. Alternatively it is high time the Free Syrian Navy (FSN) is formed and deployed to intercept the shipment in the mediterranean. is this consistent with the explosion that blew up near the un monitors convoy? Almost ready. The milk* custard needs a little more stirring. libya rebels once did that. intercepted an oil shipment. BRUSSELS, Aug 4 (Reuters) – A Libyan tanker reported to have been seized by rebels opposing Muammar Gaddafi arrived in the rebel-held port of Benghazi on Thursday after being cleared to proceed by NATO ships enforcing an arms embargo, NATO said. this was like something out of movie. surreal. i wondered at the time how the rebels managed to pulled it off. the ship’s crew must have been sympathetic to the rebels’ cause because news footage showed the ship’s crew standing alongside the rebels on the ships deck, both waving at the news cameras. Many Palestine defenders completely ignored this story, but would have made it go viral if it had not been done by the Syrian “resistance” regime, which apparently is free to jail, torture and deport Palestinians as long as it claims it’s fighting Israel. Journalist Salameh Kaileh describes his brutal torture in a Syrian prison and hospital before he was deported to Jordan. BHO tells the G8 that Assad must leave!!! well here is the deal, Putin didn’t leave and therefore Assad won’t leave! November is not far from now and will see if BHO is around anymore. Sarkosy a year ago was advocating bombing Syria, he must be now rethinking about his vacation in Syria. Again I usually review the sites that are pro regime. Here we have three stories apparently mundane from Cham Press but quite telling about the collapse of the economy. I have to agree with the critics of this article. This is so ironic it’s painful. EVERYONE is so concerned by who killed some dozens of civilians via car bombs. BUT NOBBODY in the international community is doing anything about a TYRANT BOMBARDNING entire districts with no concern for civilians killing thousands of them in the process. Rumors or the beginning of the end? Obama wants Syria to turn like Yemen? It’s already like Yemen. A Yemeni soldier packing powerful explosives under his uniform blew himself up in the middle of an army battalion in Sanaa Monday, killing 96 troops and wounding around 300, a military official and medics said. “There are at least 50 dead and the toll could rise,” the official said, speaking on condition of anonymity, adding that all the casualties were soldiers. I am shocked that Syrians expats seem to rejoice from the collapse of their ex-country’s economy and enjoy watching the increased hardship imposed on the poor Syrian. If this is not a collective punishment for refusing to bow to the demands coming from foreign countries, what is it?. These type of punishment plays well for the regime who can blame it on the opposition’s sinister masquerade played in complicity with rich and arrogant Arab countries. The sanctios are meant to apply pressure on the regime that should divert the money to feed people rather than to buy ammunition to kill them. They are also meant to grow discontent. Did you expect anything ‘Human’ and ‘Patriotic’ from them? We only read about how sectarian they are, how delusional and how radical they become, I can’t deferenciate any of them from any AQ fighter in Afghanistan anymore, they become ‘students’ of Taliban, how ironic! Syria was a different story altogether. The exile Syrian opposition reminded Arabs too well of its Iraqi equivalent before the US invasion of Iraq in 2003. The Syrian National Council seemed like a replica of the Iraqi National Council, and Burhan Ghalioun reminded many of Ahmad Chalabi. The exile opposition did not wait long before it put itself at the disposal of NATO: the SNC’s leader (a man with years of credentials as a supporter of Palestinian rights and as a secular Arab nationalist of sorts) began to flirt with Israel and to serve Gulf dictatorships who quickly assumed funding of the exile opposition. And the Syrian regime – while popular with many if not most Syrians back home – was not as unpopular as other Arab regimes because Arabs – perhaps wrongly – judged other Arab regimes by the criteria of foreign policy. In comparison to other Arab regimes, the Syrian regime seemed on bad terms with the US and Israel (although the regime cooperated for years with the US and entered direct and indirect negotiations with Israel). The fact that the Syrian opposition in exile (controlled by the Muslim Brotherhood of Syria, which has never enjoyed popular support in the Arab world, perhaps because of its cooperation with the Jordanian regime and the pro-Israeli Phalanges back in the late 1970s and 1980s) vocally called for any foreign intervention, only made the cause of the Syrian opposition less appealing than the causes of other Arab opposition groups. The crater is larger than anything ever seen in Iraq. To be honest, I doubt you checked. I’m not an engineer, but a carload of explosives should be able to do that, shouldn’t it? Furthermore, the true military wing of the Opposition – the Free Army, has consistently denounced each bombing. The political wing of the Opposition has done the same. Which branch of the Opposition are you implicating here? The Jabhat al-Nosra has been claiming responsibility for most of the car bombs. It’s a Jihadi group, probably tied to Iraq’s al-Qaida wing. No one is (or should be) blaming the SNC or FSA for these bombs, but it isn’t very helpful for them to claim that the regime is behind it either. Presently there is no evidence to dispute the claim that Jabhat al-Nosra is really behind the bombs, and no evidence that it it a regime creation, although of course it COULD theoretically be that. I find it perfectly plausible that Jihadis would want to join the battle in Syria and that this is the way they would act, so unless some real evidence emerges, I see no reason to assume Bashar’s boys are bombing themselves, at least not in most of these cases – and the opposition should stop routinely believing every theory that reflects badly on the regime (and vice versa). Most of the exiled secular opposition seems to be totally in denial about the level of sectarian and Islamist involvement in this conflict, similar to how people in the Iraqi opposition were claiming that Abu Moussaab al-Zarqawi was an invention of US propaganda basically until the day he turned up dead. This sort of irrational conspiracy mongering isn’t helping anyone. The Syrian government is under the assault of friends of Israel and the traditional enemies of Moslems and Arabs. It is now increasingly appearing as the victim of a plot where hateful and bitter expats are paid by disfunctional countries such as Qatar and Saudi Arabia to prepare their triumphant return by starving the people. No illusions, it is clear toward whom the discontent will be addressed to. A new thread has started. I linked a post about Lebanese Sunnis. Would like to hear your opinion on the matter. Why would the mukhabarat kill itself? the regime has killed off scores of soldiers from its own army because they refused to shoot unarmed civilians. as mm points out, there isn’t evidence of high ranking alawites killed in the bomb blast. but i have no doubt the regime would kill off half its lower ranking members if it suited its purposes. plus, there is added benefit served by suppressing inclinations of defection when the regime shows a willingness to kill its own. it may favor one sect over another but the regime’s highest loyalty is to remaining in power. Don’t the Kurdish leaders realize yet that the Americans have sold them down the river? Now that the Iraq War has been wound down, and given the continued value to the USA of the Turkish alliance, the Kurds are no longer very useful to the Americans. Therefore, the Americans will shop the Kurds in the power-political marketplace. After all, what can the Kurds do about it? The Kurds are on such poor terms with the Arabs and the Turks, that the Americans can be assured that the Kurds will come crawling back whenever the Americans may wish to make use of them again. Are there any Kurds silly enough to believe that the people running a sprawling worldwide empire actually care about the fate of their people? The Serious People in the US capital have much larger and more important things to worry about. MM : The crater is larger than anything ever seen in Iraq. 79. aron said: To be honest, I doubt you checked. I’m not an engineer, but a carload of explosives should be able to do that, shouldn’t it? taken from state coverage of the “foiled” suicide bombing attempt in aleppo. i bet the set up in damascus was similar to the one attempted in aleppo. this is pretty big cargo to be hauling around to carry all these explosives. i heard activists on the ground in syria complain about there being too many security checkpoints. one where officers stop people to check and examine the cars. surely, regime buildings housing security personnel is going to be ringed by multiple security checkpoints. syria is a police state. it would be hard to casually drive around carrying cargo this size without getting checked. i think mm’s argument is that only the regime if capable of pulling this off. the terrorism in iraq was represented by small insurgency groups. state sponsored terrorism is capable of executing bigger operations, like was seen in the damascus bombing. juergen earlier pointed out al nusra has come out and denied taking credit for the damascus bombing. But the films are circulating on the net apparently not always authentic. Thus, the Nusra Front has now denied being responsible for a video that the weekend has been published under her name . It had a speaker with a distorted voice over the responsibility for the double attack, which killed about 70 people last Thursday had been . alqaeda immediately took credit for the sanna bombing in yemen. they haven’t done so for syria. plus, another criticism pointing to these bombings unlikely to be alqaida or any other islamist militant group is the lack of religious justification usually cited in defense of bombings. no quotes from the koran cited, no sayings from the prophet quoted. Well, as is clear from the text, Jabhat al-Nosra denied responsibility for the statement circulated in their name, not for the bombing itself. We’ll see what happens with that. In any case, they have undisputedly been claiming most other car/suicide bombs in Syria since the winter – and these have also been routinely blamed on Assad by the SNC/FSA, without any controversies about forged statements. Religious texts etc: Jabhat al-Nosra statements in general (at least the film clips, the written communiqués are generally very short and to the point) are full of religious Salafi-Jihadi stuff. Look them up. In sum: Everything points to Jabhat al-Nosra being the perpetrator behind most of these bombings, possibly with one or two exceptions. They may or may not be a regime front. If you think so, that should be argued with evidence – I still haven’t seen any from anyone. Until then, I’m going to work with the least convoluted theory, which is that they are probably the Jihadis they claim to be, and that the US government’s theory that they are a spinoff from Iraqi al-Qaida seems likely enough to me. Meanwhile, no one is helped by the SNC and FSA (or for that matter the Baath) reflexively concocting conspiracy theories whenever they hear something they don’t like. If they can’t even admit that a still marginal but growing Jihadi problem exists, they’re not likely to be able to deal with it effectively either.